Most people are not crazy enough to attempt a 48 State Road Trip. However, this would not be my first, but second epic adventure around the lower 48 in a Tesla. It all started with my ongoing quest to help prove how great Tesla cars are — especially at road tripping. *This article comes to us courtesy of EVANNEX (which also makes aftermarket Tesla accessories). Authored by guest conmtributor Steve Sasman*. The opinions expressed in these articles are not necessarily our own at InsideEVs. On August 1, 2018, I set out to be the first human to drive a Tesla to every single USA Tesla Store in the lower 48 States. I drove my 2012 Model S P85 for the first 12,100 miles and 42 States east of Arizona. After that, I took my brand-new Model 3 Performance for the last 6 States. The Model 3 started with 25 miles on the odometer and ended the trip with 4,370 miles just two flawless weeks later. Hold on… I know what you’re thinking. Call me insane, but I wanted to help get the word out about all the positive Tesla was doing, despite all the negative fake news. The backdrop was this: Tesla and Elon Musk had a pretty rough year. Yes, some of Elon's issues were self-inflicted, no doubt. But the vast majority of the bad press was made-up nonsense from short sellers, the backlash from the threatened oil industry and news outlets that know anything Elon or Tesla-related gets lots of clicks. Especially negative stories. 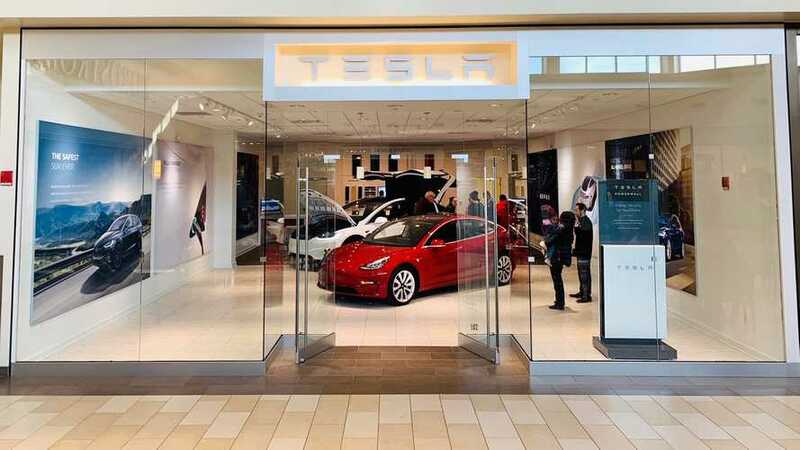 Well, after visiting with over 500 Tesla employees at each of the 107 Tesla stores, I can unequivocally assure you that if a company’s value is tied to the quality and passion of its employees, then Tesla isn’t anywhere near bankruptcy . What I was seeing on the ground was this: Tesla Stores constantly humming with activity, with test drives and sales happening at an incredible pace. Not that I’m the first to say this, but I’m confident they will become a trillion dollar company in the next decade. The difference with Tesla is the vast majority of its employees are fully committed to Tesla’s mission: To advance the world’s transition to sustainable transportation and energy. It was especially encouraging to talk to so many that were excited to come to work every day, knowing they are doing so much more than just collecting a paycheck. I met new employees that were on their second day of work all the way up to those with over six years at Tesla… and both groups were just as excited to be there. But it wasn’t just the passion of the employees, it was also their confidence. They felt like I did. That Tesla, despite the negativity in the news, was absolutely going to succeed — like we knew something the general public and the financial pundits did not. So let’s celebrate what Elon Musk and thousands of Tesla employees are accomplishing against all odds. They are trying to reach absurdly challenging goals. And, by the way, all done at American factories with American workers on a car that uses 100% local energy, not Middle Eastern oil. To each and every Tesla employee I met: Thank You! You work so hard and put so much energy into your work…and it shows. Just know that every interaction with current and future owners matters and is deeply appreciated even though I’m sure there are times it may not seem worth the effort. IT IS. *Steve Sasman is a Tesla experimenter and 48 state road tripper at TeslaRenter.com; he's also a sharing economy enabler at FlagstaffRentalCabin.com. Editor's Note: Stay tuned for upcoming posts from Steve relaying some of his craziest stories, road trip hacks, and a comparison of traveling such long distances in his Model S vs. his Model 3.